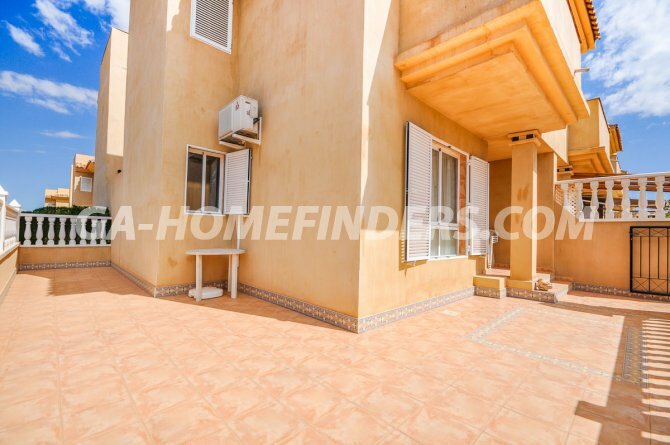 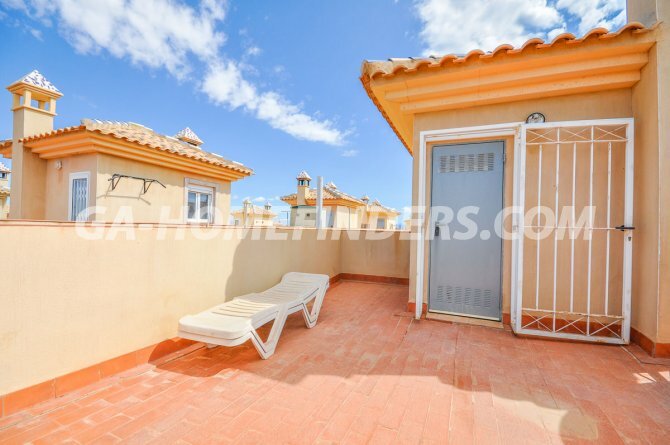 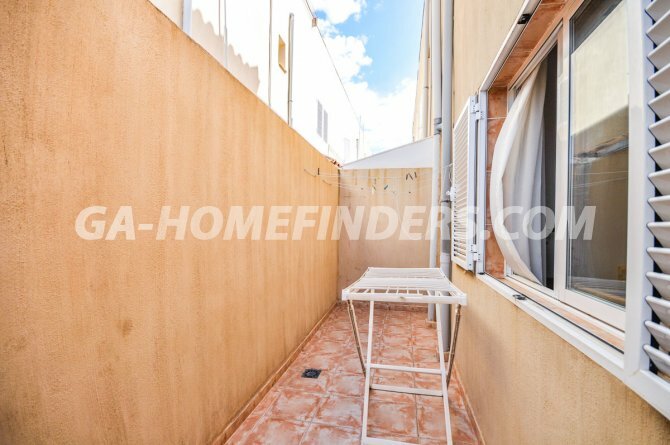 Corner Townhouse with a large terrace, has two bedrooms and two bathrooms. 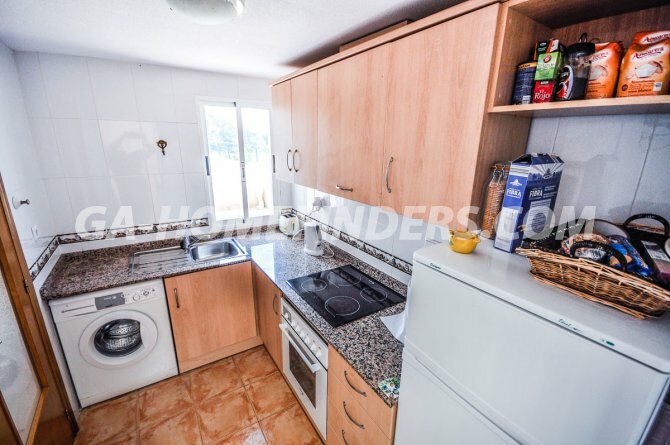 It has an independent kitchen with appliances which opens into the covered gallery. 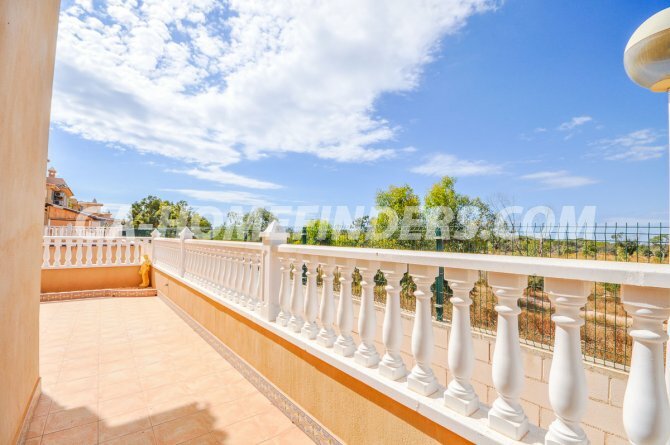 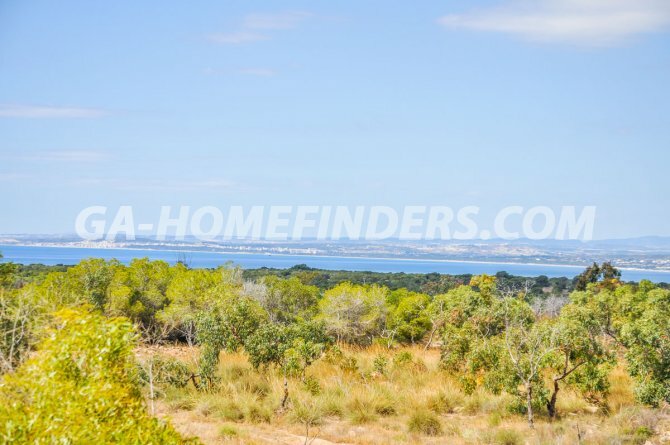 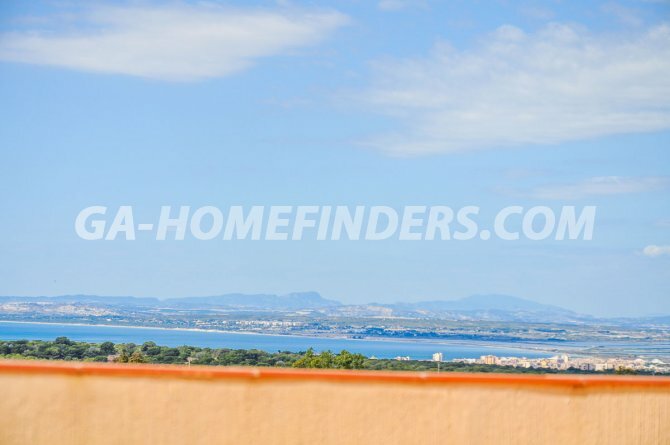 The house is furnished, the rooms have large fitted wardrobes, on the top floor is the solarium where there are beautiful views of the sea and the Sierra de Santa Pola lighthouse. 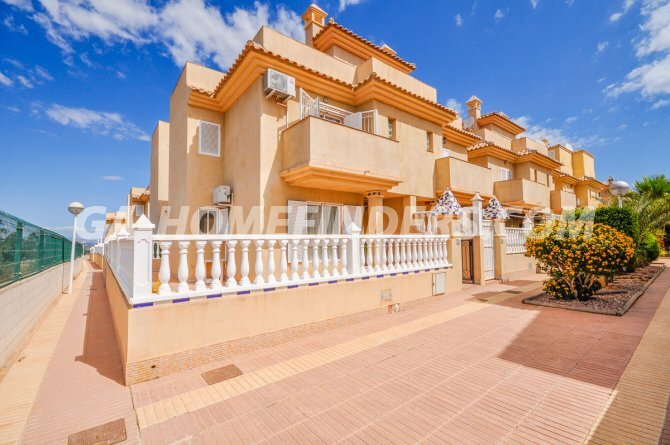 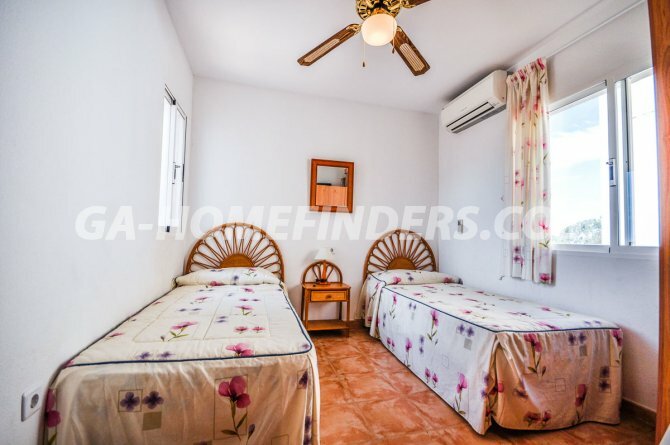 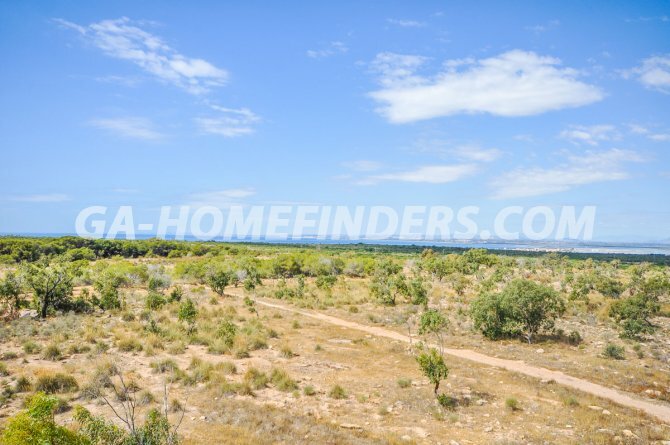 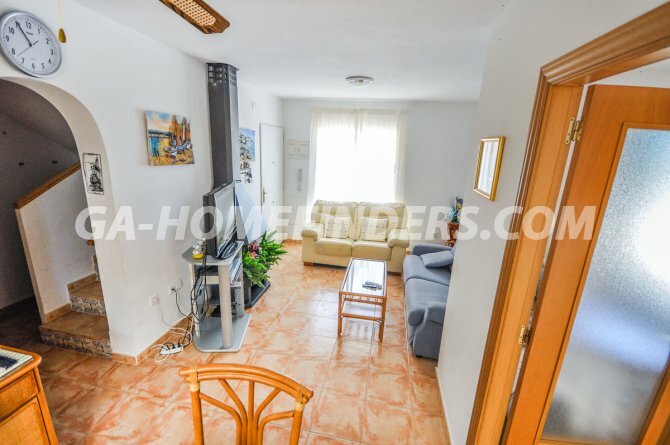 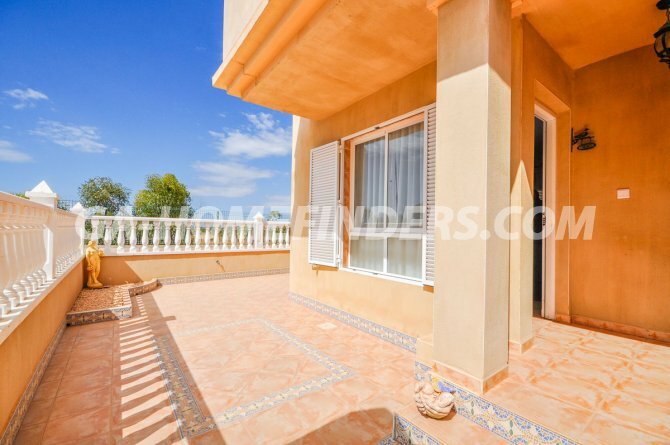 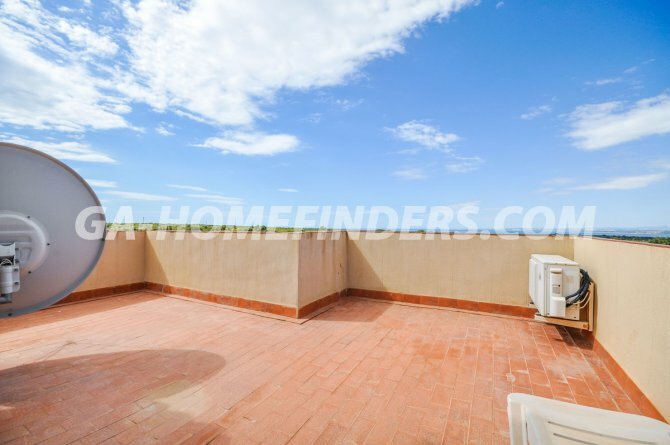 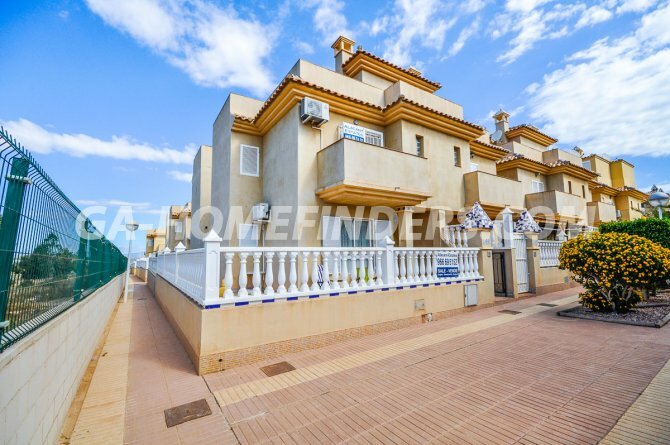 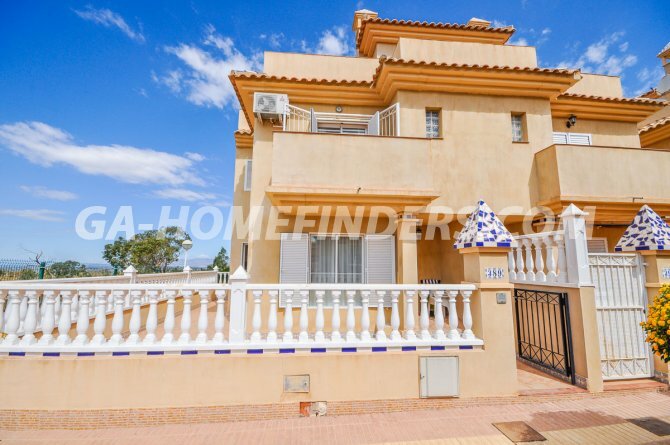 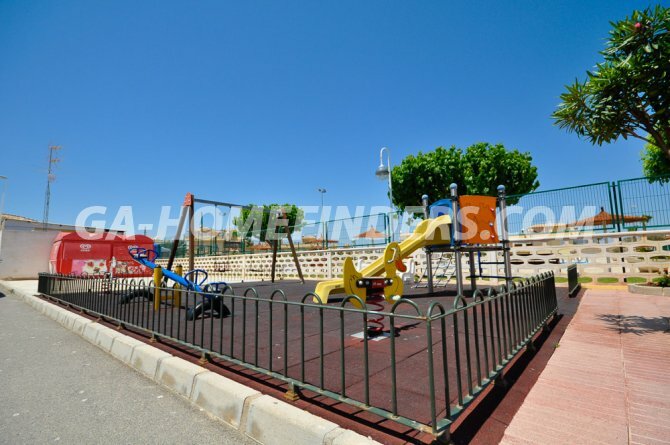 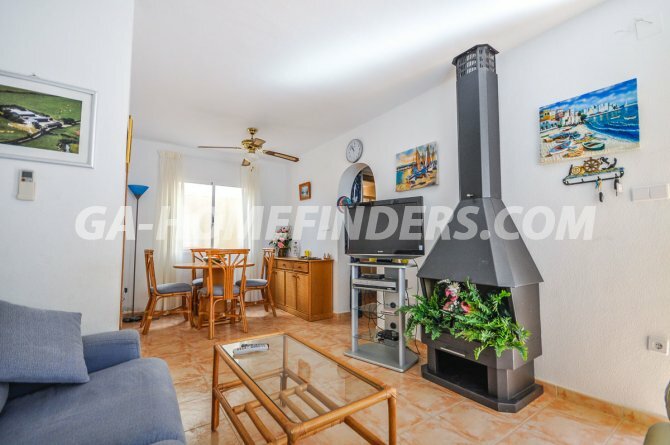 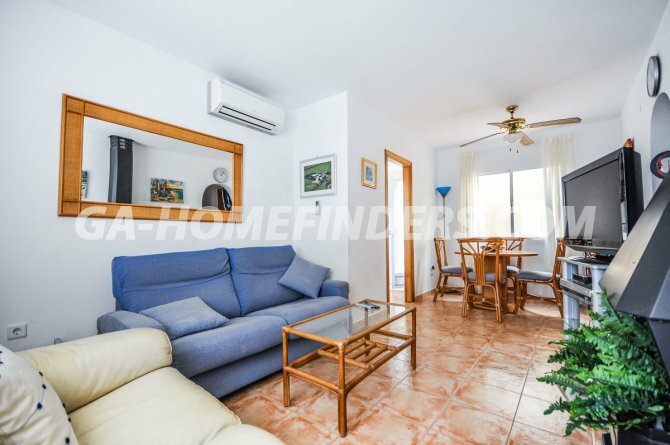 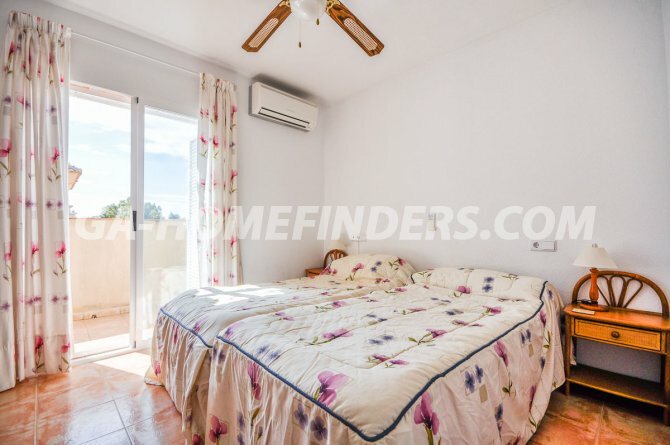 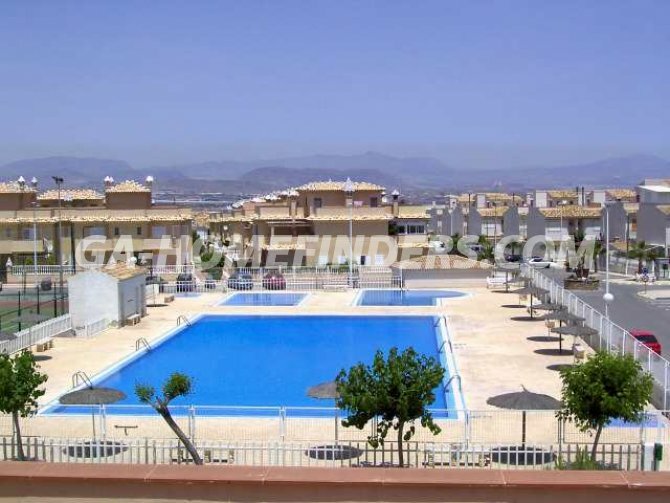 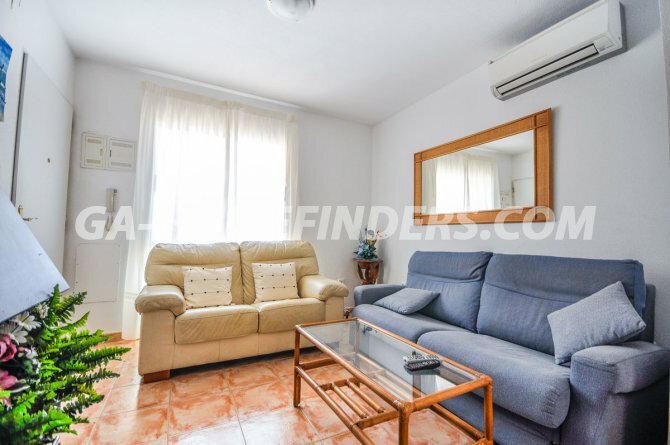 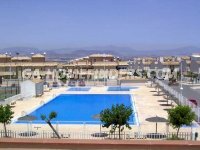 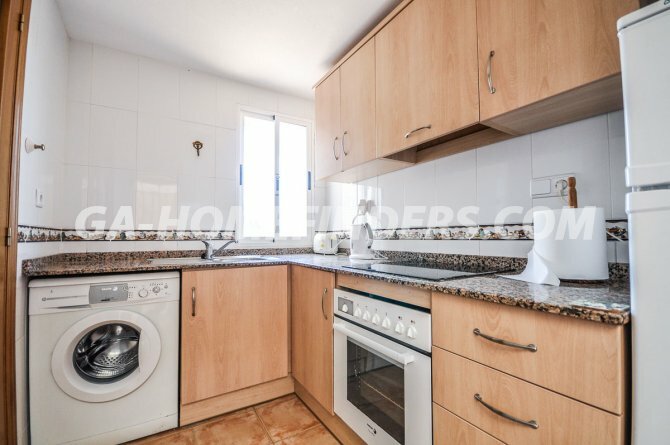 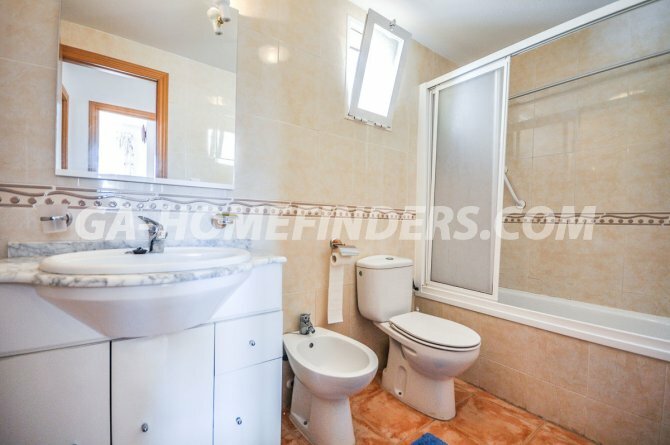 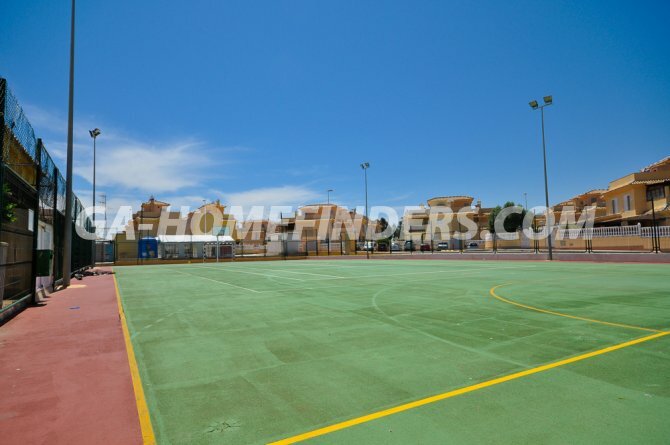 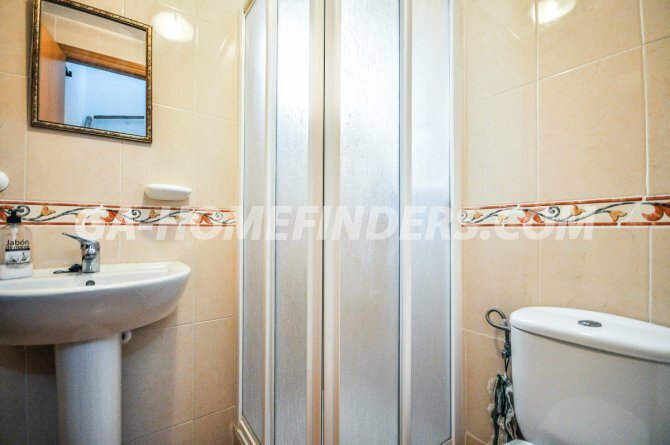 It is a closed urbanisation, very quiet and well maintained, with wide streets, with 3 swimming pools, tennis court, playground, is located in the upper part of Gran Alacant, near the service area, bars, shops, sports centre, banks , public transport, and is less than 5 min drive from the beach of Carabassi.